One of my first posts was The Liebster Award! And I must admit I do love a good tag. I was thrilled when I got a tag from white interiors! 1. If you lived for one day, what would you do and why? I’d want to be with my family and friends. Doing what? I’m not exactly sure. I’d want to be with the people who mean the most to me. I love beauty, and I love writing. So I put them together to create this blog. Plus I’ve always loved reading blog posts, so I wanted to do it for myself. 3. Who would you share a house with when you’re older? I’m hoping that I’ll have a family of my own, and we’ll have our own house. This is a problem that I have, I have no idea. I don’t know what I want to do. I’d like to do something with beauty and writing. Pretty Little Liars, even though I do think it’s confusing in parts. There are some things that I can’t get my head around, but I still love it! 6. If you could only shop at one shop for the rest of your life, what would you do? Probably Selfridges. They sell everything! 7. What is your favourite makeup product? I love buying lipstick, so I’m going have to say lipstick. This is extremely difficult, but it’s probably something to do with school. As I feel like I was a completely different person to how I am now, and I regret being how I was. 9. Name three bands/singers that would be in your dream festival line up? I am loving Little Mix at the minute, so them! Ariana Grande and Justin Bieber! Sounds grim, but death. I am absolutely terrified of not being here any more. 3. What makeup product could you not cope without? 5. If you could travel anywhere, where would you go? 6. What do you hope to achieve in 2016? 8. What clothing item do you wear the most? 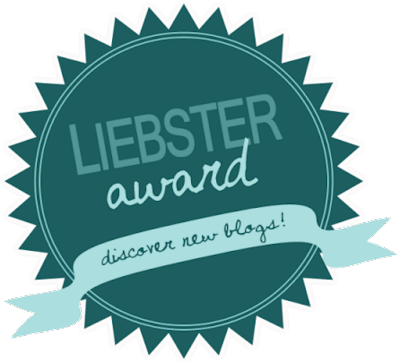 That was the The Liebster Award! "How To Survive A Spending Ban"